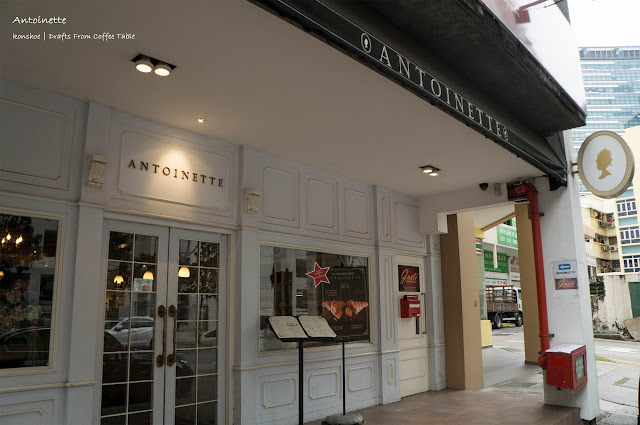 Antoinette has appeared in the scene for quite some time but despite the fact that my place is relatively close to it, I never get to visit its main branch in Penhas Road until quite recent. Even though the Lavender scene is packed with novelty hipster cafes (such as Chye Seng Huat Hardware) and great dining spots (such as Lighthouse Bistro), Antoinette still manage to secure itself as not just another cafe but an original entity. The pristine white exterior and its name are clear giveaways that this is a place with a focus on French food and pastries. Upon entering, I immediately succumbed to the rows of colorful macarons and cakes demanding the attention of my sweet tooth. Recently one of the owner chef's offer that grabbed foodie's attention is their own lineup of cheese tarts to ride on the sudden craze, so naturally I had to grab some for myself. I am pleasantly surprised by how many nice dining spots there are in Ipoh (apart from the usual delicious hawker fares) despite being born here. Citrus Wine and Dine is not a hipster cafe that sprouts from the craze in recent years but a cozy restaurant for families and groups who look for a secret nice spot only known to the locals. I have passed by the location quite often and yet I never knew of its existence until my wife brought me for a birthday celebration. They have an extensive menu that could cater for any celebration whims, including high grade beef. 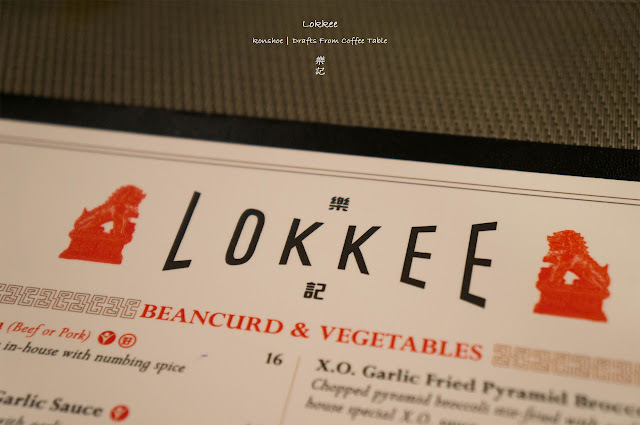 However for our first visit we contended ourselves with their set lunch of the day, at a price of RM26.50 per set. Each set came with the soup of the day (we got cream of mushroom), coffee or tea, a main course and a slice of cake for dessert (we had a delicious piece of chocolate cake). Each of us got ourselves a different main course - a BBQ Chicken with Roasted Potatoes and an Aglio Olio spaghetti. 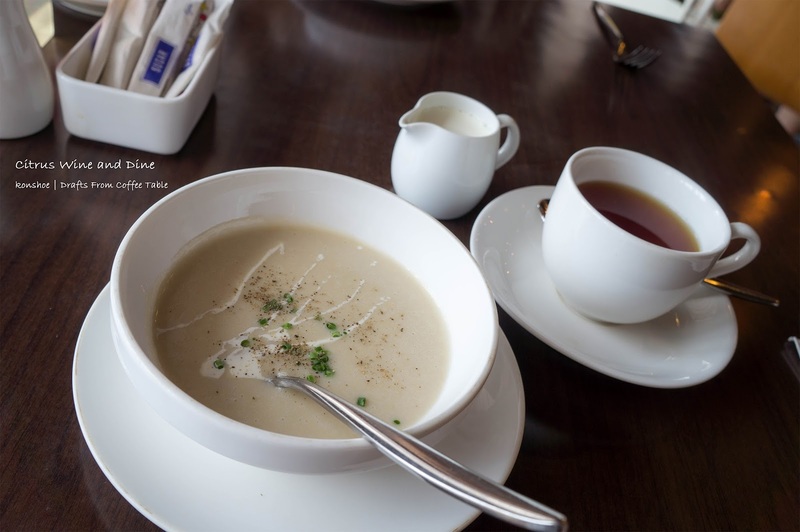 Each set comes with an appetizer in the form of a soup (ours were cream of mushroom) and a cup of coffee or tea. The dreamily creamy soup is delightfully delicious, its thick yet smooth texture perked up our appetite, getting it ready in anticipation of the main course. Updated: This business is permanently closed. 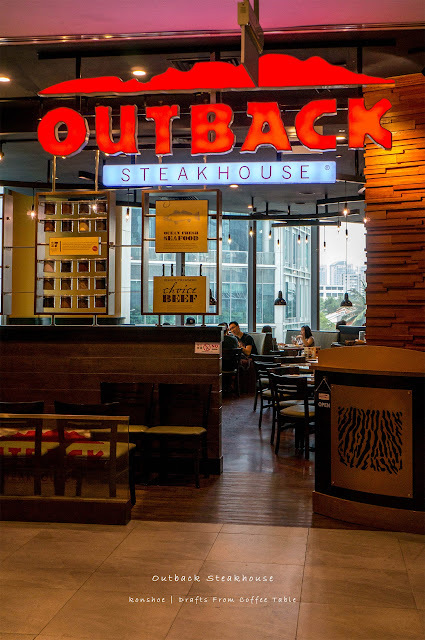 Singapore is famous for its rich scene of food variety, and basically you can sample tastes from almost the world over without even stepping onto those countries. 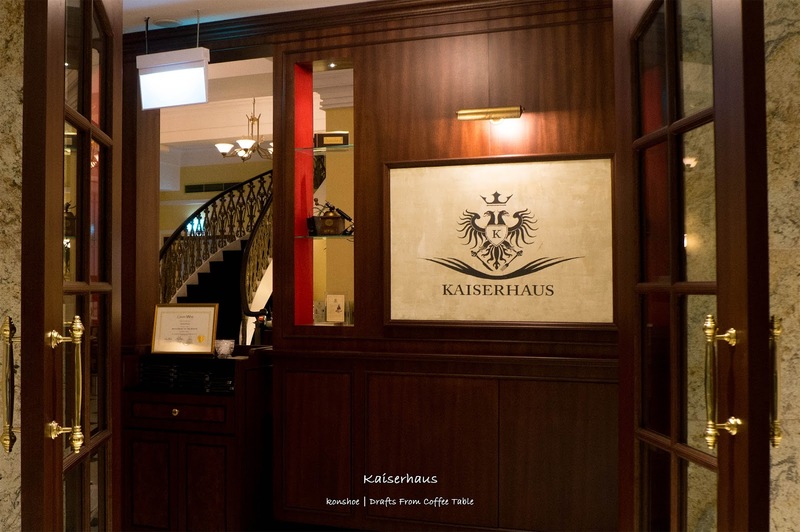 Kaiserhaus heightened that variety by introducing meals from the once great Austrian-Hungarian Empire. Its name meant "Imperial Family" and true enough, they offered meals fit for a king. I like how the English styled Capitol Theater complements the regal European furnishings of Kaiserhaus. Its spacious interior could accommodate a party of guests if you reserve well ahead of time. I got to know this fine establishment while surfing Groupon and the voucher allowed 2 choices of main meal plus appetizer and dessert, which can be chosen from available cake and pastries on display. Note: This post is written base on experience in Holiday Inn Orchard City Center, not Holiday Inn Express, which is also around the same vicinity. On a fine Sunday after a sumptuous lunch, we decided that we want to try out the voucher we bought for a high tea treat in Holiday Inn Orchard, seeing that we were in the vicinity. No, actually that Sunday was not fine at all because it was hot as hell. 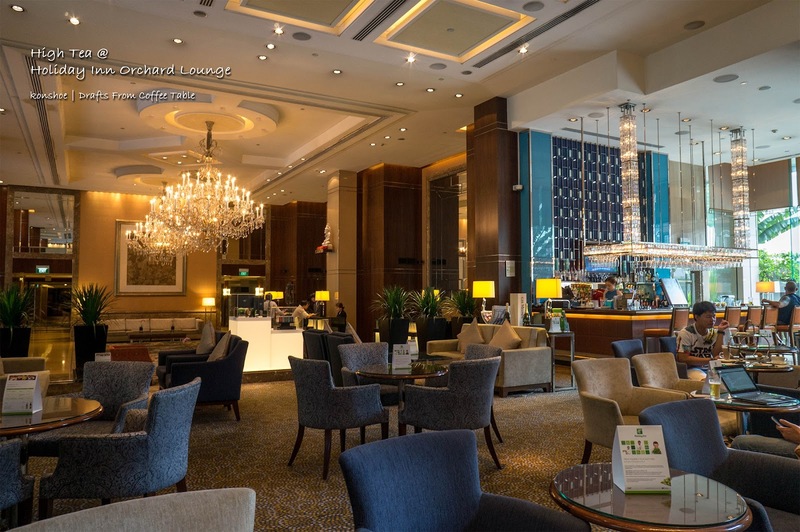 Nevertheless the thought of chilling off in an air-conditioned hotel lobby for high tea would beat the horrors of throng filled malls. 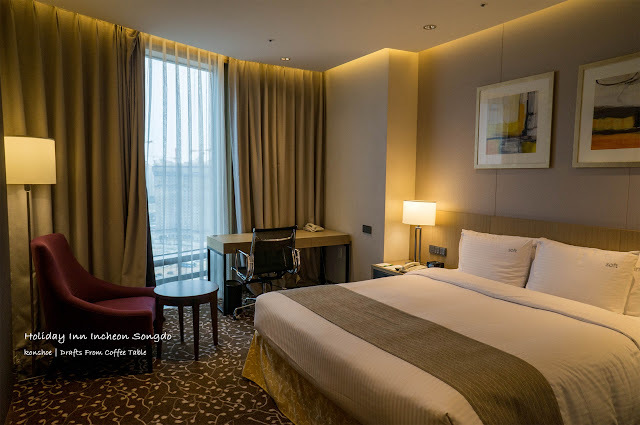 True to the fame of Holiday Inn chain of hotels, its high-ceiling lobby beckoned us welcome and we immediately saw the vast lounge off to its side, its glass walls separating the cool interior from the scorching streets. Occupants were sparsely seated and with such a spacious lounge, we were spoiled for choice when it came to deciding where to relax. We finally decided to occupy one of the sofas in oppose to table and chair seating that seemed to gear towards comfortable business discussions in hushed tones. 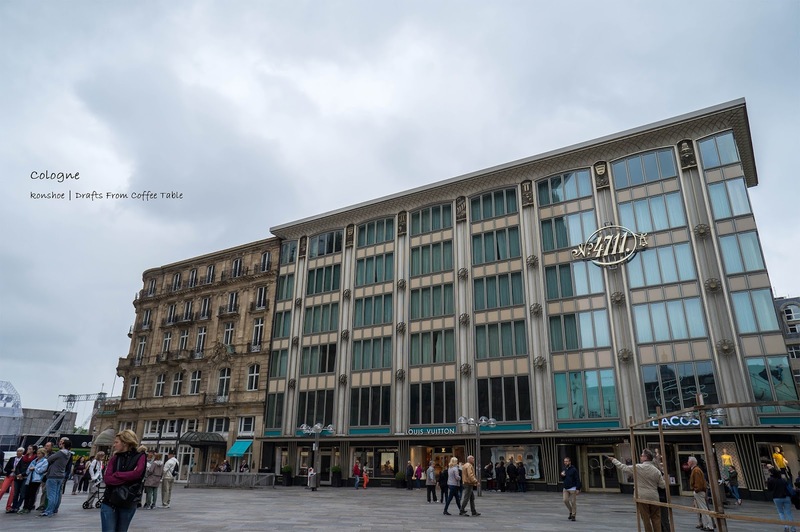 My last post on my Cologne's trip is on Cologne Main Station's cousin across the river - Cologne Messe/Deutz Station. It was not as impressive as the steel counterpart but I still took a liking to it due to its dome structure and stone texture. In fact Cologne Messe/Deutz Station is just as important as the main station as it relieves traffic from the main station. Since the main station is located across the river, some trains prefer not to stop in the main station so that they need not change direction to cross the river, and then back out again to continue on their original route. My interest in this station was caught when I was high up in KölnTriangle, seeing its distinctive dome top and wondering how the station would look like. Despite a stone exterior that made it seemed ancient, its interior is quite modern. The full station contains multiple levels, allowing access to long distance train services and regional services as well as access to tram lines. I had not called my stop in this station before so my experience with the station was limited to my wandering its hall under the dome. Where is the best spot for a panorama of Cologne? Would that be Cologne Cathedral's tower? You can of course get a splendid view, but alas the cathedral itself, the main draw of the city, would be missing from the picture. However a trek across Hohenzollern Bridge across the majestic River Rhine brought me to a tower jutting into the sky called KölnTriangle where I could get an unobstructed panorama of the whole city. After paying the entrance fee of €3, I queued in front of the elevator and waited my turn to be whisked up. The skyward journey was unremarkable, and after a few ear-pops and being in the company of curious seekers, I arrived at the topmost level of the tower, close to a whooping 103 meters from ground. 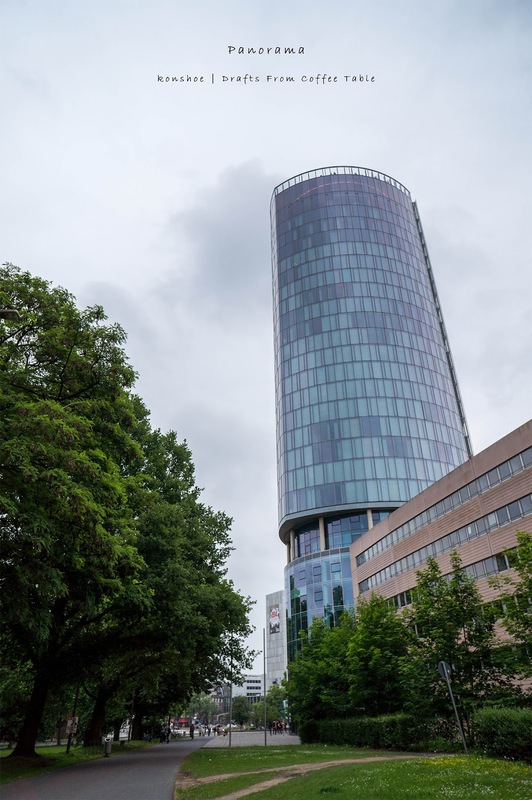 It would look like any other kind of tall building from the outside. I guess if anyone were to ask me when is the time to visit Cologne for some unique experience, my answer would be during Carnival, one of the "crazy days" in Germany. The most happening day is on Rosenmontag (Rose Monday) but I was only able to visit on Sunday. Even so, the day was filled with carnival goers and festivities, enough for me to return brimming with memories. Carnival starts in exactly 11.11am on 11-November every year but merrymaking period officially starts on the week before Lent, with some people dress up in costumes and roam the streets. Although there are carnivals around Europe, Cologne's is rated as one of the largest street festivals. On my arrival that Sunday, Cologne was unlike its usual self. 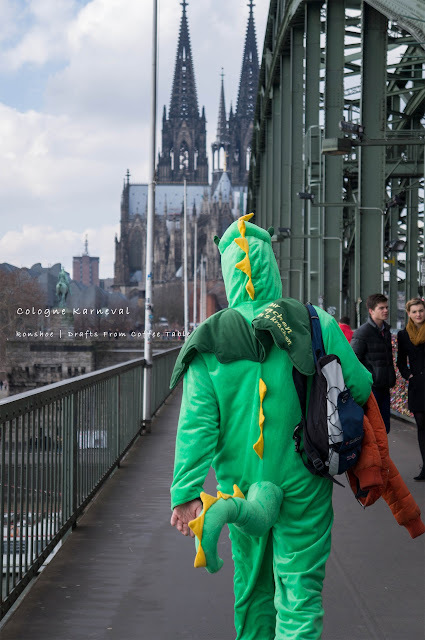 I saw people in colorful and weird costumes even as I stepped off the train into Cologne Hbf, each merrily making their way around. I was surprised that the usually serious Germans can have so much fun in them! Yoshi the dino from Mario Bros? If you are not going to Cologne in a car, most probably you will be arriving via train like yours truly, and Cologne Hbf (short for Hauptbahnhof, German for main/central station) would be your point of arrival. 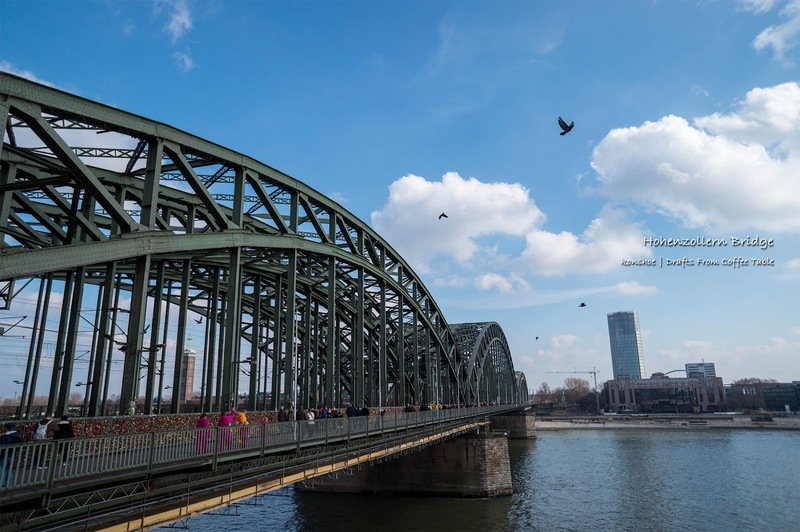 That steelworks frame would be visible from distance away, at about the same time the iconic Cologne Cathedral comes into view, when the train crosses the important Hohenzollern Bridge. As I stepped onto the platform, the pace of the station got to me, reminding me of the fact that this was one of the busiest station in Germany. With Cologne being one of the 4 biggest cities in Germany (the others being Berlin, Hamburg and Munich), its central station is definitely one of the busiest, the 5th busiest in fact, serving an average 280,000 travelers on a daily basis. 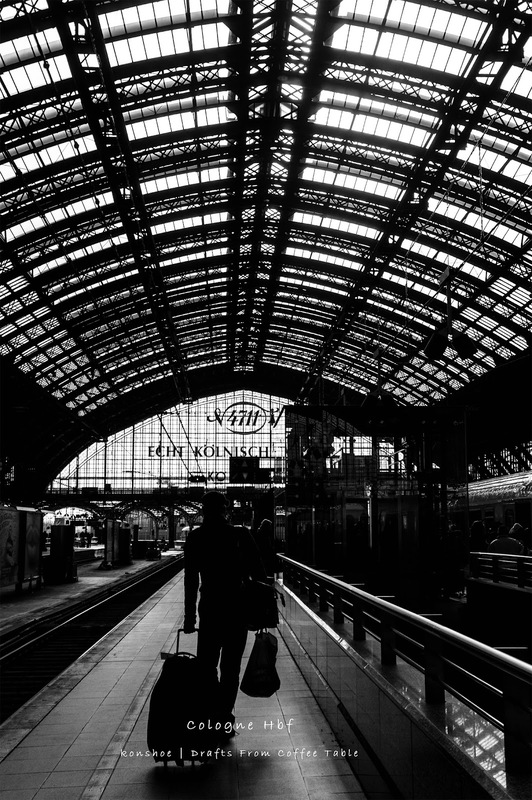 As it is an important transport hub, several major rail services call into this station, including international lines connecting to Paris and Amsterdam, as well as ICE services connecting other major cities in Germany. A trip to Cologne guarantees a pilgrim to Cologne Cathedral but less people mentioned about walking the length of Hohenzollern Bridge. Its name is seldom mentioned but I recognized it from most Cologne introducing photos, with an iconic shot from across the River Rhine towards Cologne Cathedral and part of Hohenzollern Bridge in the foreground. To say that Cologne Cathedral is one of the most recognizable churches in the world is an understatement; it is a symbol of Cologne itself. It impresses onto visitors even before they stepped out of Cologne’s main train station, the structure dominating the view when one looks out of the glass wall. Check out the top sights of Germany on the Internet and it is not difficult to find it within any top 10 list of sights in Germany. Of all the German towns and cities that I have visited during my stint in Germany, Cologne is the only one I frequented the most. Not even Frankfurt, the closest metropolis to my workplace came close in frequency. And no, it was not because I like Cologne. It was because that was the most convenient meeting point between my friend closer to the north and me who was stationed at the south. I presumed that most people would link the perfume Eau de Cologne, which is also known simply as cologne, to the city. 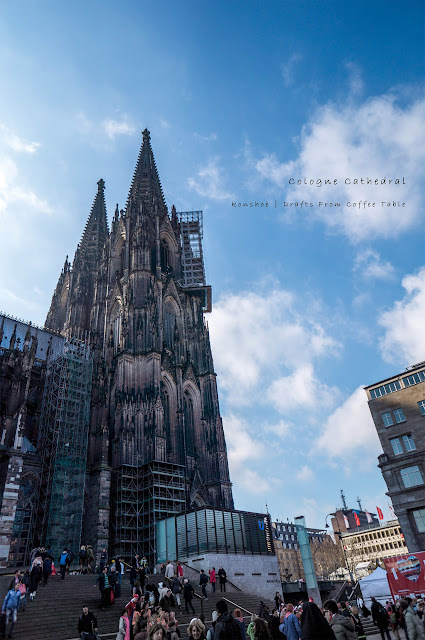 In fact it is more of a reason for people to recognize the city than the iconic Cologne Cathedral. Although there are more to the historic city than these two, they remained the most impressionistic. 'The' Cologne - Eau de Cologne. If you are wondering why the perfume is named so, this is the place to visit - Number 4711, the plot of shop which created this perfume in 1709. To the interested readers, here is my 1 day itinerary in Cologne - which could be done under 6 hours. Click into each link to visit the dedicated post to the place of interest. arrive in Cologne Hbf (main train station) around 11 a.m. 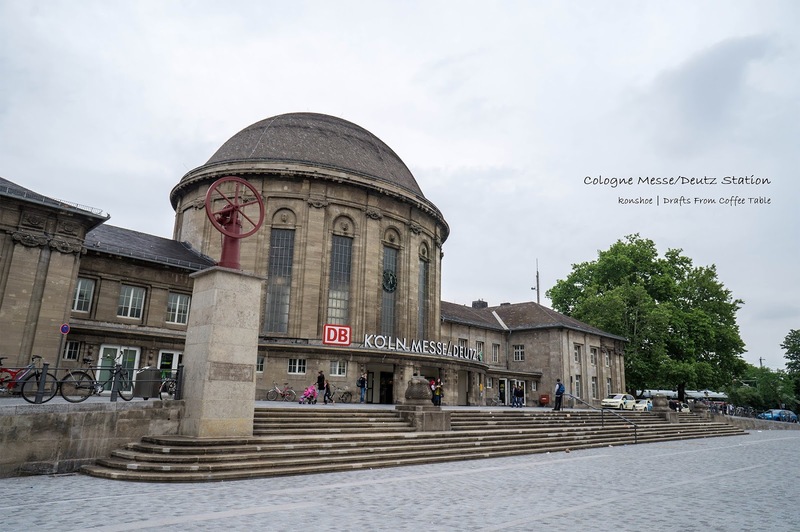 I did not visit the 12 Romanesque churches, but the interested tourist could look for the few closest to Cologne main train station. This could be a better alternative to most than my trip to the opposite side of the river to explore Panorama and Cologne Messe-Deutz train station since the latter were more of a personal exploration. 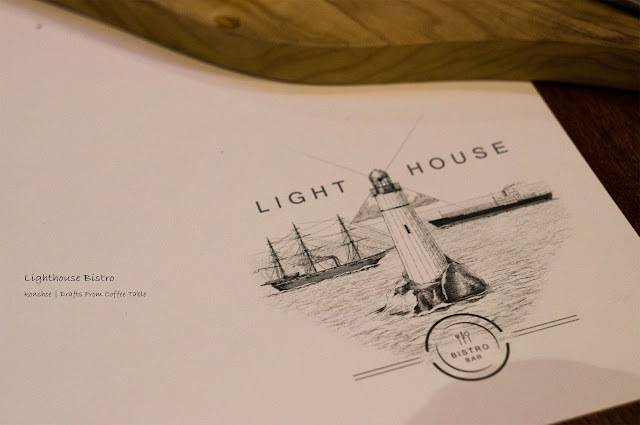 Lighthouse Bistro is a surprisingly good find in the Lavender MRT region, a location where numerous good joints stay hidden from plain sight. Occupying a corner lot, it stood out like the lighthouse it is named for, a beacon that draw diners in for a good meal. Its interior is quite limited despite occupying the corner lot, and one has a choice to dine outside rather than within its air-conditioned interior. The ambiance in Lighthouse Bistro is suitable for group chitchat and romantic duos alike, so long as one does not suddenly look for space to kneel for a proposal. Despite its corner lot occupancy, space is still limited within the joint. A sketch to accompany the name of Lighthouse Bistro and Bar. 2016 heralds a fresh start and a new resolution but unfortunately it became I keeled soon after entering a new year. So perhaps a lighter start with some good luck brought over from a better 2015 would be advisable? 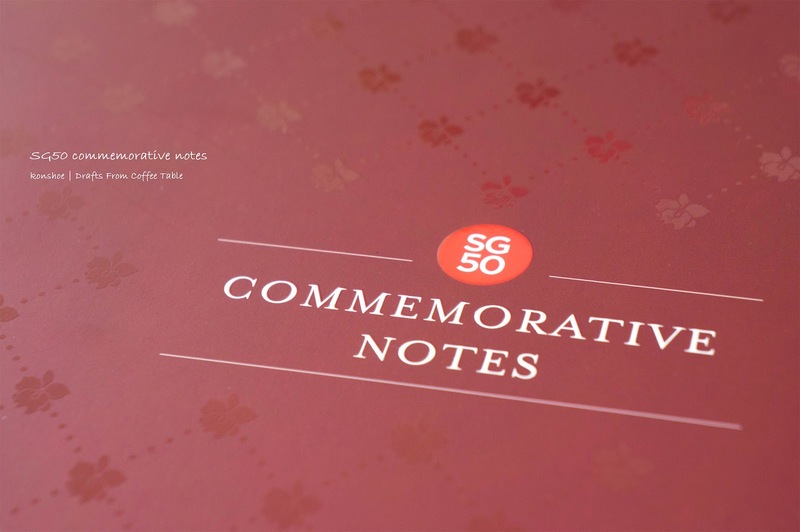 And thus I decided to start the year with a post on Singapore's SG50 commemorative notes. 2015 saw multiple memorable events in Singapore, from the sad passing of the nation’s founder to the celebration of 50 years of nation building. Both monumental events were immortalized through the issuance of a commemorative set of banknotes, unveiled by Singaporean Prime Minister Lee Hsien Loong on 18 August 2015, with a nice folder to match with. The public is allowed to exchange their current notes for this set of notes worth S$100 in total (for exchange, not for free…), but capped at a limit of maximum 5 sets per person.